Working with wildlife is both risky and rewarding. It can be a difficult job to capture the best pictures of these animals, as well as tiring. One man never expected this would happen when he decided to lie in the grass for a nap. 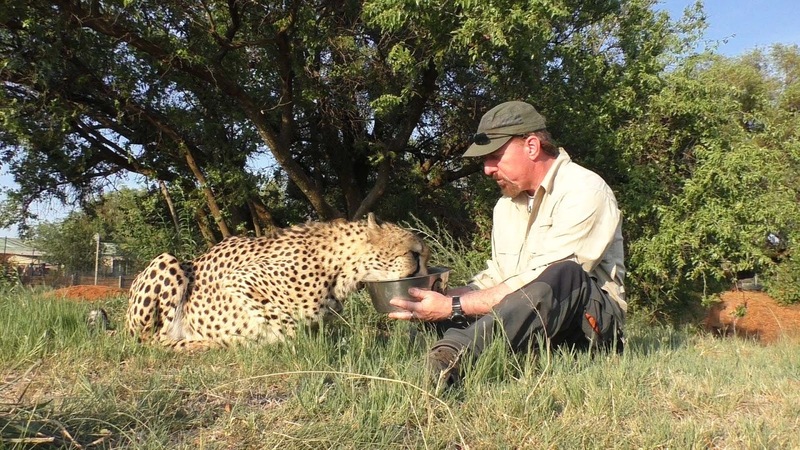 Dolph Volker is a volunteer at the Cheetah Experience in South Africa, where the population of these big cats are being preserved. They can be extremely shy creatures who don’t take very well to human interruption in their daily lives. But Dolph has been working for months to gain the confidence of these animals, and all of his hard work has paid off. During one his trips, while he was tired after a long day in the sun, the photographer decided to take a nap under a tree. That’s when a cheetah named Eden spotted Dolph. She walked up to him, sniffed him, and decided to cuddle with this harmless human! To say Dolph was surprised to find Eden when he woke up would be an understatement. And that was the beginning of their friendship. A beautiful, amazing, fascinating friendship. Eden looks at Dolph as if he belongs to the same species as her. She cuddles him, nibbles him, purrs and snuggles with him. The bond couldn’t be any more adorable. 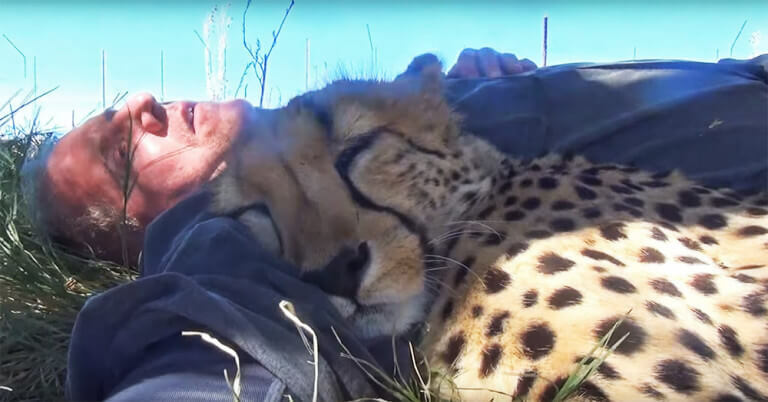 In fact, Dolph is now being called “The Cheetah Whisperer” since he spends most of his time in cheetah’s company. This is the sweetest thing we’ve seen in a while.